Medium - $69.99 Only 6 left! Large - $69.99 Only 4 left! X-Large - $69.99 Only 8 left! Are you thirsty yet, you party animal? We're not sure if we should apologize or say thank you, so allow us to avoid confrontation and continue with this hop-filled fantasy. 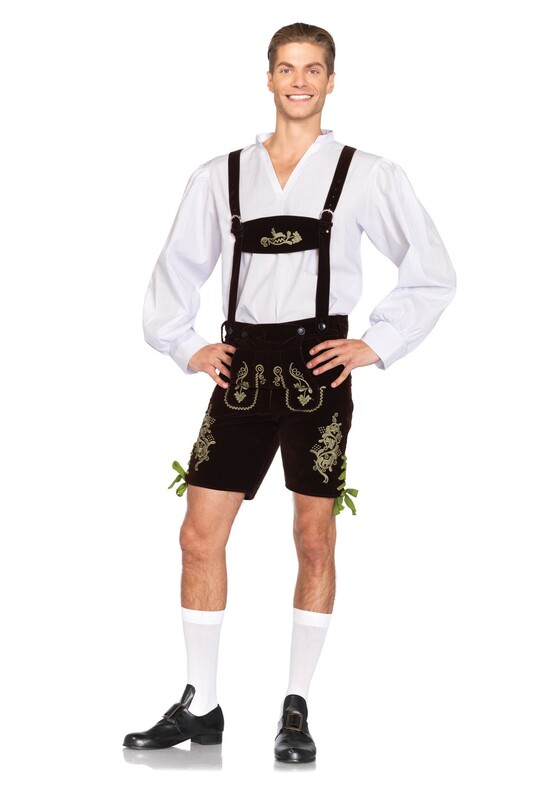 So you're on your way to an Oktoberfest celebration of your own, where you can slurp down your fill, or perhaps you are merely bursting at the seams with German pride. You have your eyes on the prize: at least five of those 7 million liters and as many sausages. You don't know it yet either, but you are definitely singing some traditional tunes tonight—as loud and as proud as your heritage! Good for you, buddy. 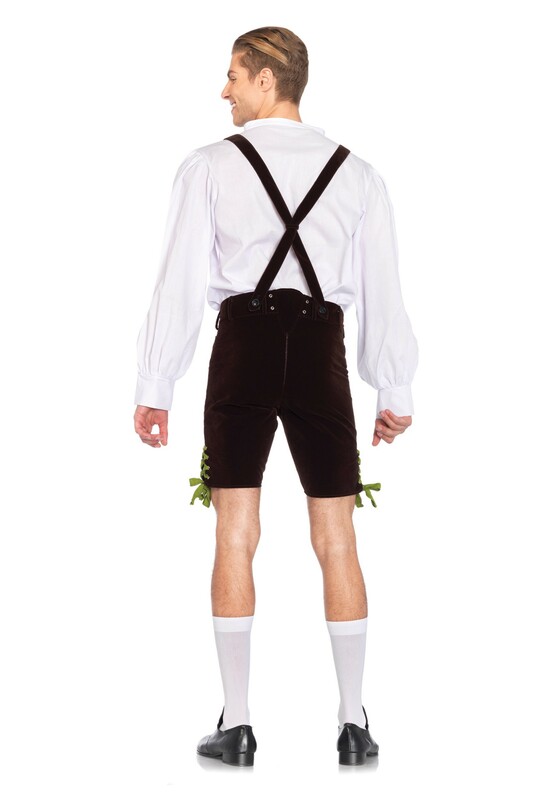 Sounds like a blast to us, but as long as you are stocked up on your favorite beer and bratwurst, this Oktoberfest Lederhosen is likely the only missing component to your perfect Bavarian-themed night at the Hofbräuhaus or elsewhere. The 80% polyester, 20% V-neck cotton shirt will keep you comfortable, while the decorative embroidery and side-seam lacing will give you the authenticism such an occasion demands. MVP of the costume: the suspenders feature a matching bib, perfect for all the inevitable shenanigans that take place after that third liter.